Super Bowl Weekend is not just for fans to show up to the host city and watch the game, it’s also about taking in all the festivities around town and possibly rubbing elbows with rich and famous people. Having the Super Bowl in Atlanta was just different since it’s highly regarded as Stripper capital. Hundreds, if not thousands of strippers flew down to ATL to make sure that secured a nice pay day, but the city of Atlanta was ill-equipped to deal with the overflow of dancers to the point that they actually ran out of ink at one point to hand out permits. 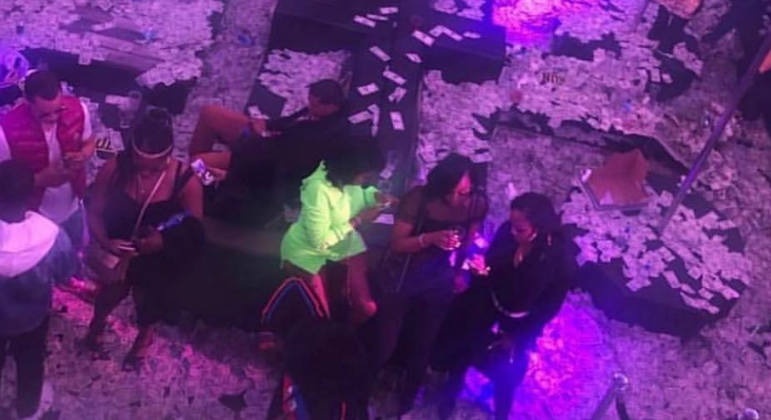 One stripper claimed that the club brought in $3 million on this night and each girl took home $125K. While nice, it seems the young lady exaggerated a lot and it turned out to be $200K that was brought in. Stripper said each girl walked away with 2k from the QC event.